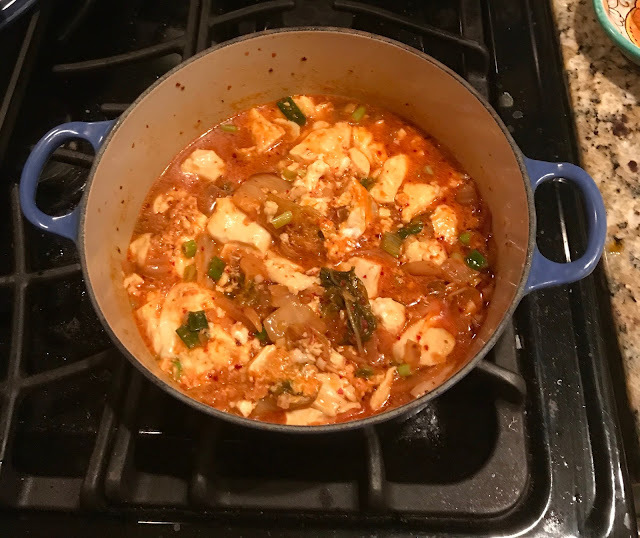 I've always been big fan of Korean food, but had never made any dishes at home. I always went out to a local restaurant. I assumed it was very complicated, but in fact, the basics are quite simple. The key, as with all cooking, is to have excellent and authentic ingredients. Most areas will have a Korean market and that will be your one stop shop for all of your ingredients. Additionally, the produce is usually excellent, very fresh and a faction of the price of a large grocery store. This recipe came from my follow foodie Kenneth, and it is a dish called Sundubu Jigae. 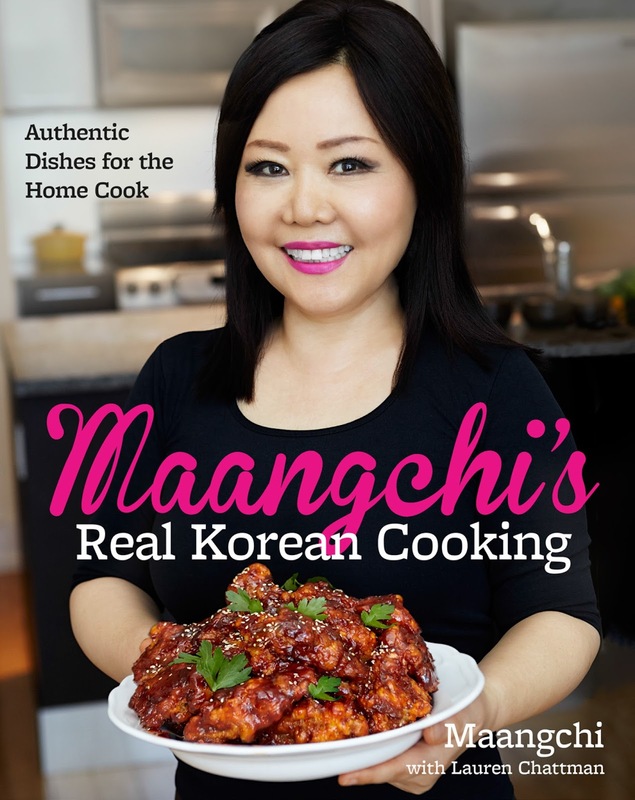 I also picked up a great cookbook from Maangchi. It is well written and very easy to follow. I highly recommend it. 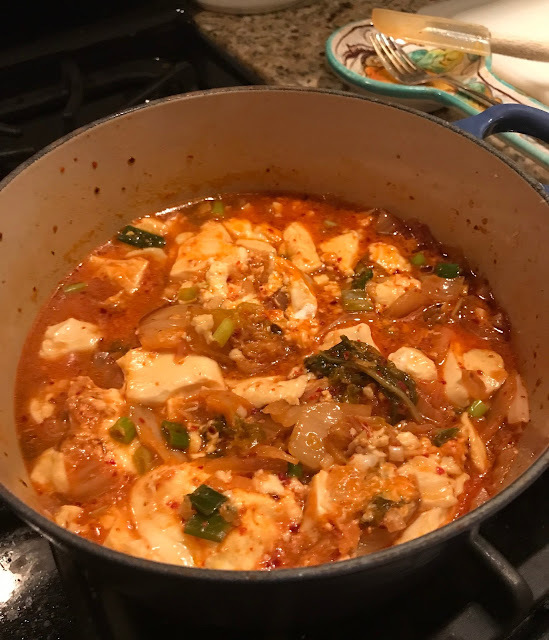 Its called Real Korean Cooking and she also has a wonderful blog. 1 Tbsp Hot Korean Pepper Flakes, or more to taste. 1 tsp light Soy Sauce, try a Korean brand, they are sweet and smoky. 2 Eggs, cracked into a cup. Always a good idea to avoid any shells. Mix the pepper flakes and toasted sesame seed oil into a paste and set aside. In a heavy based pan, such as Le Cruset, heat the oil to medium and fry onion and garlic until soft. Add kimchi and stir for a minute. Add 1 cup of fish stock, cover and cook for 7 minutes over medium heat. Then add soy sauce and sugar and mix. Gently add in the tofu and break it into large chunks. Add rest of stock and pour the hot pepper mixture on top and gently stir in. Add the cracked eggs and cover. Let it cook for a few minutes until the egg just sets. Sprinkle with green onion and fish sauce and serve with brown Jasmine rice. Note: There is no additional salt in this recipe and it is not needed, as you have the soy sauce and the fish sauce at the end. Try to get a low sodium stock, as then you have control of the saltiness. You can always add salt, but you can't take it away.